Last Thursday I went to see the Rise of the Guardians movie with a friend--and I loved it! I totally recommend it. It has appeal for all ages, children goes without saying, but especially teens as the themes of purpose, identity, belonging, and faith are prevalent. The animation is superb including character expressions and mannerisms, and the action scenes are completely awesome-tastic! There are also tender and poignant scenes and humorous scenes that were done fantastically too. This movie has it all. Several hours before seeing the movie though, I was in the BYU Bookstore and found copies of William Joyce & Laura Gerninger's Nicholas St. North and the Battle of the Nightmare King, the first novel in The Guardians of Childhood series which the movie is part of, on sale for $5.99--so I bought one of course! There are currently three novels and two picture books available in The Guardians of Childhood series. These books contain the back stories, the new mythology, for five beings commonly known from childhood; the Man in the Moon, the Sandman, Santa Clause, the Easter Bunny, and the Tooth Fairy. 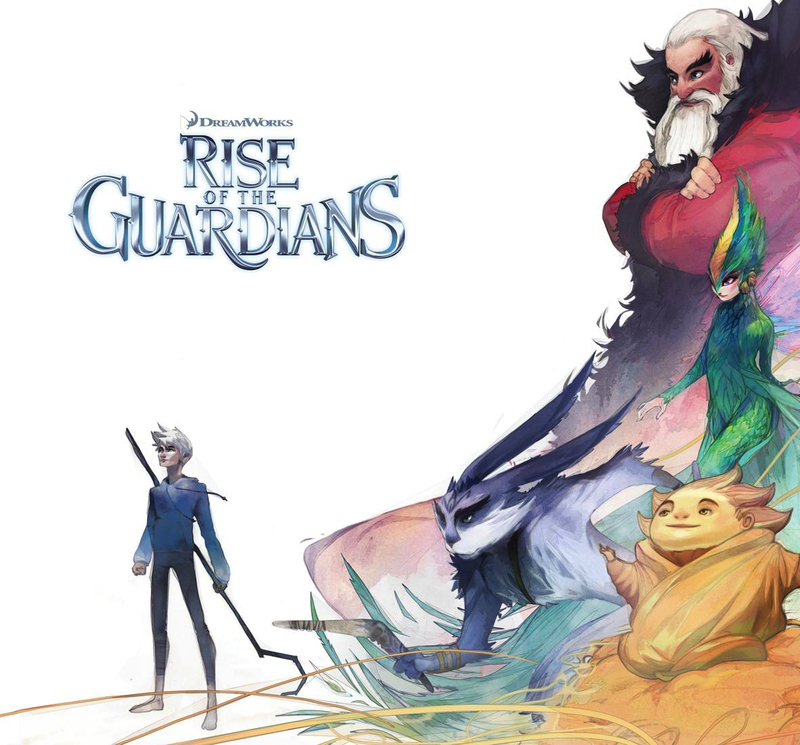 The movie in theaters now, Rise of the Guardians, serves as the back (and front) story of another being, Jack Frost, as well as the status of the other five characters 200 years after the events in the books. Got that? So the books take place 200 years BEFORE the movie. William Joyce did this so that there would be no conflict between books and film and also so that the audience wouldn't already know what was going to happen. Brilliant! And instead of a book, the character of Jack Frost gets a movie for his introduction (though there is a novelization of the movie now). Cool (literally, right, Jack?). Watch the featurette below for a peak at the film and more information about Jack Frost. He makes me squee. So the movie serves as another piece of The Guardians of Childhood puzzle, simply in another media format. For more information on The Guardians of Childhood series and William Joyce, please visit my previous posts. 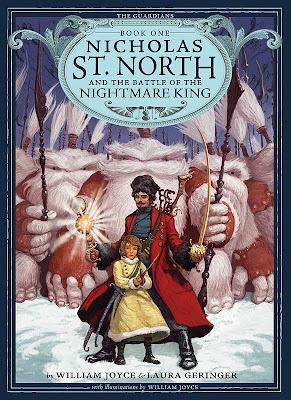 I read most of Nicholas St. North and the Battle of the Nightmare King the day after I saw the movie--and it just so happened to be St. Nicholas Day! Below you'll find my review. Read the first chapter of Nicholas St. North--with illustrations! 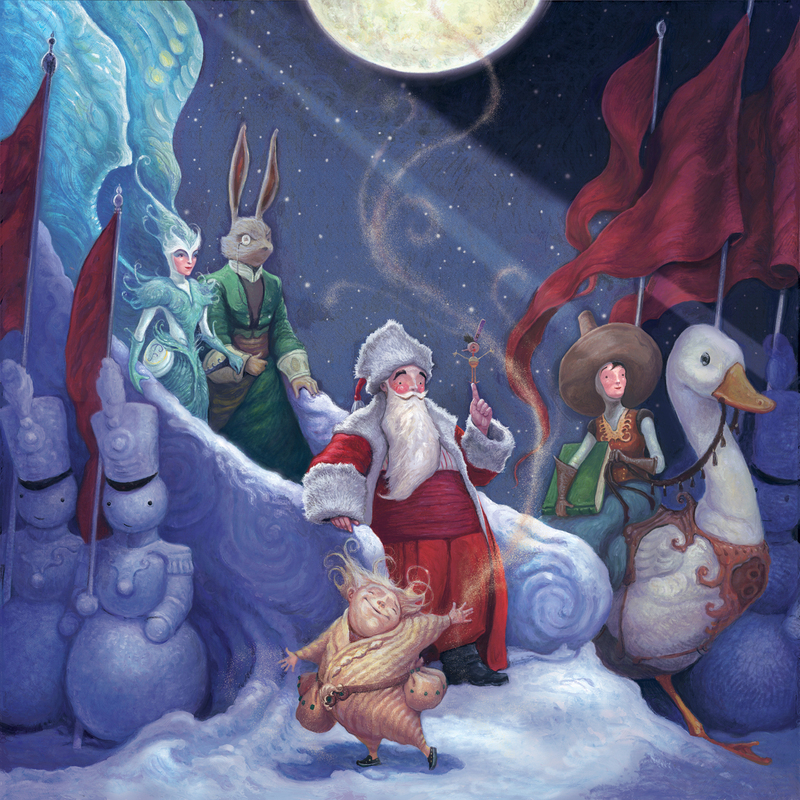 Nicholas St. North is an imaginative story with a new mythology for the being commonly known as Santa Clause. It's great for middle grade readers and younger and would make a perfect read-aloud book. The mental images invoked by the text and illustrations are very rich and like an awesome dream. I was disappointed though in that the story feels a bit gutted, like it could have been fuller throughout, but perhaps this happened to keep the page count low for young readers. Because of this though the story feels like a structure of cool ideas from somebody's head or more of a framework for a movie (I wonder if William Joyce's mind works more this way). There were many cliche instances and points of sudden character and story change which are most likely products of this rooftop jumping that passes over the steps of the streets below (a metaphor, obviously). This won't stop me from reading the other books though! The ideas presented are very intriguing and like I mentioned above, the books would make great read-alouds. These stories are ones I'd like to share with my daughter because of their imagination and the spring board they are into creative discussion. After all, that's how this series started, as a question from a child, William Joyce's daughter wondering if Santa Clause and the Easter Bunny were friends. And check it (left). There's a Guardians of Childhood boxed set of the first three novels in the series (I want!). The other two books out now are picture books (Man in the Moon & Sandman). One other character I know of that should be having a book soon is Mother Goose (because she has a trading card and is in some of the series artwork). I imagine this will be the third picture book in the series. And supposedly there will be more chapter books.